26, July 2016: Since the beginning of the Industrial Revolution, the question of the future of energy supplies has been of interest. 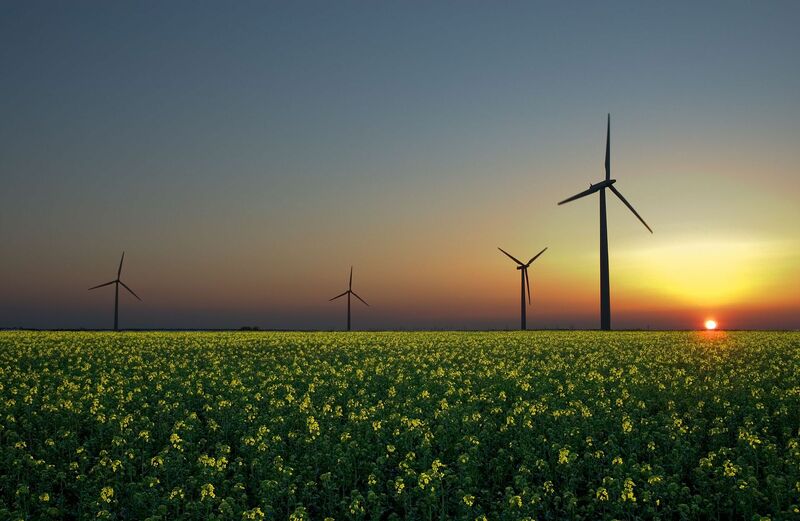 The traditional fuel energy, with the development of human society is reducing day by day, and the harm caused to the environment is increasingly prominent. Clean fuel mirrors the direction of future energy development. The global attention is focused on new energy industry, being of great significance to the world economy and industrial restructuring, and a series of structural reforms lie ahead. Among EVs, the personal transport is catching on to the trend, duo to its great convenience, portability and intelligence. Such personalized and differentiated traffic modality caters to the modern people. In addition to intelligence and portability, the innovative development, like humanization, personalization and differentiation is important factor to enhance the user experience. Convenience is not the only pursuit of the user, but also the physical and mental experience. 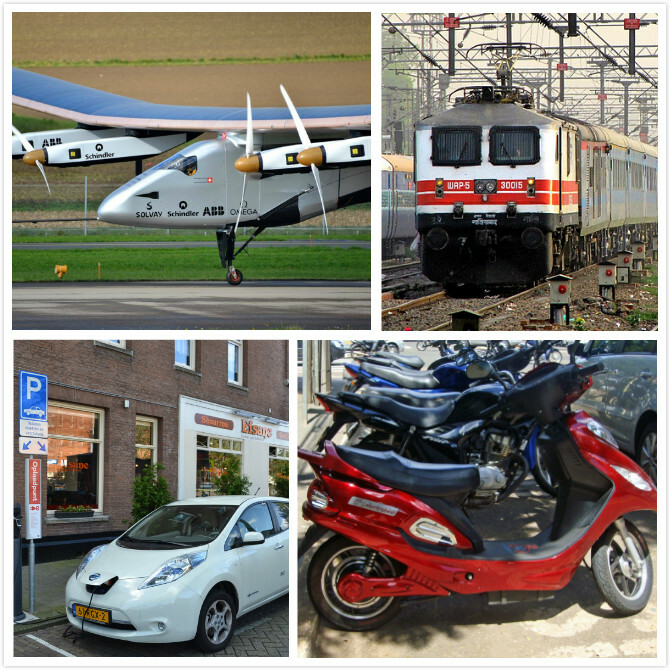 They use smart transportation to highlight their unique and fashion taste. The development of intelligent transportation tools need companies to firmly grasp the direction of development, accurately identify the actual needs of different users, rely on scientific and technological innovation and personalized design to win the recognition of consumers. As one of the world leading smart transportation device manufacturers, Airwheel is committed to bringing out the joy of technology, and to practicing its cooperate culture: “Free Intelligent Life”. 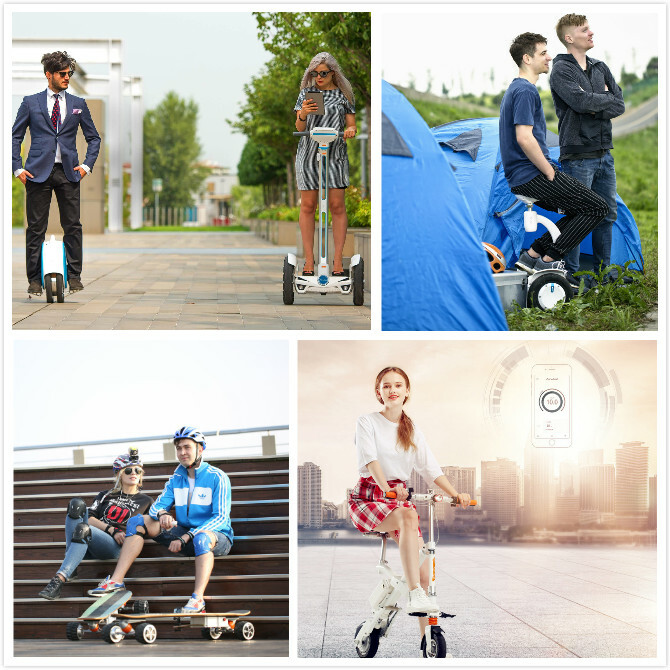 Founded in 2004, Airwheel is home to 8 different series of product(X-, Q-, S-, A-, M-, Z-, C- and E-series), 7 product modalities (such as electric unicycle, electric hoverboard and e bike etc.) and owns global operation rights of 15 popular models. The rich product lines in Airwheel fully fulfil purchasers’ requirements and its smart scooters and skateboards have served millions of customers in 168 countries. Airwheel's success is built on enabling customers to live freer, providing them with an intelligent companion, helping them find passion and joy from life, to realize higher personal value. Intelligent tools will enrich people and expand their senses and capability to narrow the gap between dream and reality, Airwheel believes. For this cause, since 2015, Airwheel has strategically invested in area like IOT sensors, robotics and deep learning. Airwheel cooperates with research institutions all over the world, continue to enhance our product development and manufacturing, and continue to help bring a free and joyful life to our customers.